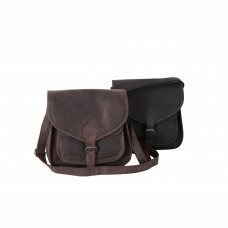 The Hunter Collection is fashion and functionality which are captured in these distressed leather accessories. For those who enjoy the outdoors and those who enjoy the assurance of a quality product. Cross body adjustable shoulder strap Mag-clock closureOutside front pocket with flapRear zip po..
Top Zip closure Outside slip pocketRear zipped pocketInterior zipped pocketInterior phone pocke..
Top Zip ClosureTwo Fron zipped pocketAdjustable cross-body strapBlack/BrownL25 x W1 x H29cmFashion a..
Zip Closure Outside Zip pocket Outside slip pocketSpacious interiorinterior phone pocketSe..